Attic ventilation is an important component of a residential roof system. Roofing contractors install ventilation systems to remove heat and moisture from an attic space. Proper design and installation of roof vents can make homes more comfortable and prevent numerous roof-related problems. An unventilated attic space can reach temperatures as high as 160 F during the summer, but a properly ventilated attic will reach maximum temperatures of about 105 F. Because heat from the attic radiates into living spaces, a cooler attic will lead to a more comfortable home and reduced cooling costs. A properly ventilated roof system contains intake and exhaust vents. Exhaust vents are installed on the upper portion of the roof and commonly consist of shingle-over ridge vents, louvers and power vents. Intake vents are installed near the eaves, typically in the form of continuous soffit vents or cornice vents. Shingle manufacturers and building codes require at least 50 percent of the ventilated area to be located at the eaves. Roof system components benefit from increased longevity when the attic space is well-ventilated. Similar to mercury in a thermometer, all building materials expand and contract as their temperatures change. Higher attic temperatures lead to increased expansion of the roof sheathing, structural components and shingles. The lifespan of these materials is negatively affected by an increase in thermal movement. During the winter months, condensation on the underside of the roof sheathing can occur if the attic is not properly ventilated. It is important to remove warm moist air from the attic space before it has the opportunity to condense. Daily activities in your home, such as cooking and bathing, can generate several gallons of water vapor. Mold growth can occur if this vapor becomes trapped in the attic space instead of exhausted. Corrosion also can occur to the fasteners used to secure the roofing materials if the moisture content in the attic space is too high. Current newly constructed homes are better insulated and more airtight than homes of the past, making attic ventilation more important than ever. Attic ventilation system designs should ensure attic temperatures closely resemble outside air temperatures. This will create a comfortable living environment with reduced cooling costs and reduced chance of premature roof system failure. 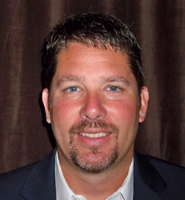 Nick Sabino is president of Deer Park Roofing Inc., Cincinnati.